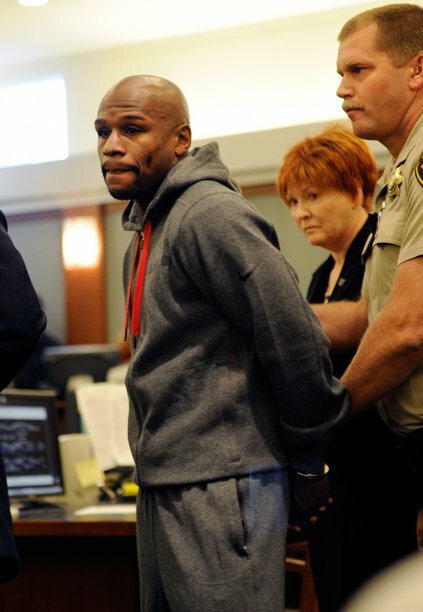 Boxing champion ,Floyd mayweather Jr. surrendered in a courtroom Friday to begin a three-month jail sentence for attacking his ex-girlfriend in September 2010 while two of their children watched. Las Vegas Justice of the Peace Melissa Saragosa credited the undefeated five-division champion with attending weekly domestic violence counselling sessions including one the day of the May 5 fight she allowed him to make and with beginning to meet community service requirements she imposed in December. 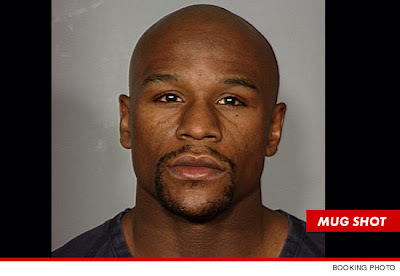 The judge sentenced Mayweather on Dec. 22, then later allowed him to remain free long enough to make the Cinco de Mayo weekend fight against Miguel cotto which fetched him $32 million. Mayweather probably will serve most of his time away from other prisoners in a small solo cell in the high-rise Clark County Detention Center. He is expected to be released in August.